Following on from the earlier blog post this week around the West Brom game, below is a summary of all Leon's passing so far in the Premier League. Only 19 misplaced passes so far and 8 of them came against Sunderland. That chalkboard stands out as having quite a different appearance with passing taking place much further forward. 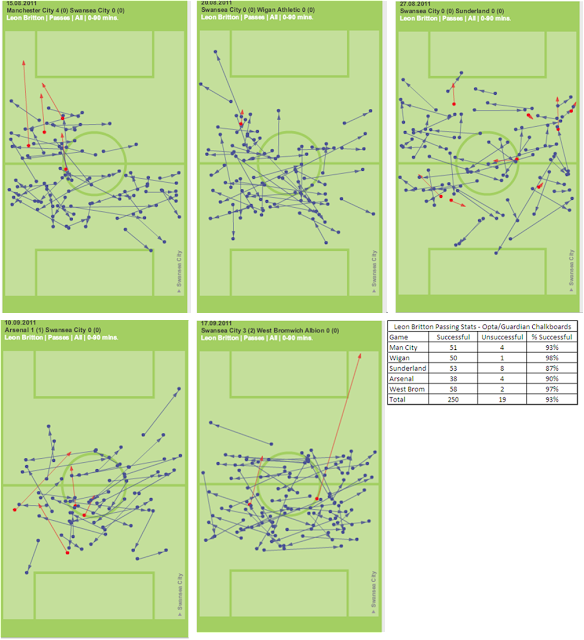 The other interesting thing which I think highlights both our style of patient build up and focus on the wings is that only 1 of the 269 passes made to date by Leon was to someone in the penalty area.